Enlist! New Names in Canadian History. Library and Archives Canada holds the personnel files of the soldiers, nurses and chaplains who served with the Canadian Expeditionary Force (Record Group 150). The digitization of the CEF service files is now completed. The original paper documents can no longer be consulted. A total of 622,290 digitized files can be found in the Personnel Records of the First World War database. Feel free to contact us, if you still have questions after having checked the database. Clients can easily and quickly download high-quality digital copies of these service files, free of charge. The long-term preservation of these unique and fragile paper documents. Early in the war, some volunteers were rejected at the Val Cartier training camp, mostly for medical reasons. Those files usually contain only an attestation paper (RG9-II-B-13, volumes 6087 to 6104). These records are indexed in our Personnel Records of the First World War database. Other references to aboriginal soldiers can be found in the records of the Department of Indian Affairs (Record Group 10). Files can be identified using Archives Search and entering keywords such as the surname of a person and "soldier" and RG10. For the files listed below, microfilm reels C-8510 to C-8515 have been digitized on our partner website Héritage. You can browse through the page images; the contents are not searchable. The files on microfilm C-11335 are linked below to the digitized images on our website. Library and Archives Canada holds original and microfilm copies of the military personnel files of the Royal Newfoundland Regiment and Newfoundland Forestry Corps (Record Group 38). These records are indexed in our Personnel Records of the First World War database. Microfilms are also available for consultation at The Rooms in St. John's, Newfoundland. That archives has also digitized some of the files on their website in the Newfoundland Regiment and the Great War database. The Family History Library also has a copy of these microfilms. Some Canadian residents who served with the British Imperial Forces during the First World War received a gratuity from the Canadian government. Those Imperial War Service Gratuity files are found in our Department of Militia and Defence fonds (RG9 II F10). These records are indexed in our Personnel Records of the First World War database. Those files are digitized on www.ancestry.ca. That subscription website is available free at many public libraries. There are no service files for the militia in Canada during the war, with the exception of this group of service files for some members of the NPAM (RG9-II-B-7). Those units performed a variety of military tasks in Canada, mainly guarding strategic sites such as armouries, bridges and canals. This series also contains a few files for some members of other units that served in Canada during the war. These records are indexed in our Personnel Records of the First World War database. The Royal Canadian Air Force did not exist at that time and those wishing to enlist in the Air service would have joined the Royal Flying Corps (RFC), the Royal Air Force (RAF) or the Royal Naval Air Service (RNAS). Personnel files for those British units are in the custody of the National Archives in England. Library and Archives Canada does not hold copies of those records. Library and Archives Canada does hold some nominal rolls of Canadians who served with the RFC, RAF and RNAS in the following series. These lists must be consulted on site. Those two boxes of ledgers have been digitized and indexed on www.ancestry.ca, which is available free at many public libraries. See MIKAN 127615 and MIKAN 105676 for a description of that series. The ledger sheets consist of single over-size pages that summarize each individual's service, including the names of ships and shore bases. These records have been indexed in our Service Files of the Royal Canadian Navy, 1910-1941 - Ledger Sheets database. Consult the database for information about the records, how to obtain copies and other sources for naval personnel records. These files are more administrative and financial in nature than the service ledger sheets. Most files contain a variety of documents, which may include enrollment applications, discharge or demobilization forms and separation allowances. They usually average from 25 to 50 pages. Some files relate to enrollment in the Royal Naval Air Service. The files are indexed in Finding Aid 24-167. They can be identified using Archives Search. In the search box enter 24-167 and the name. You can order a copy of a file or view it on site. If the individual continued his naval service after the war, his First World World records may be in his post-1918 file. See How to Obtain Copies of Military Service Files. The National Archives in England holds records for those who served in the Royal Navy, Royal Navy Reserve, Royal Naval Air Service and the Royal Naval Reserve, which included volunteers from Newfoundland. Some records of the Newfoundland Royal Naval Reserve are held at the Provincial Archives in Newfoundland (The Rooms). Some of those are available on microfilm through the Family History Library. The files of nurses who served with the Canadian Expeditionary Force (CEF) can be searched in our Personnel Records of the First World War database. For information about other sources held by LAC and links for sources relating to nurses who did not serve with the CEF, see The Call to Duty: Canada's Nursing Sisters. These nominal lists are arranged by battalion or unit. They are digitized in Archives Search. In the Keyword box enter RG9 9-24 nominal. When you get the search results, go to the right-hand menu. Under Online, select Yes. Then scroll through the results with pdf icons for RG9-II-B-3 to find the item that covers the relevant battalion or unit. Click on the file title to access the pdf links. Tip: Do not enter the battalion/unit name or number in your keyword search because the file titles include a range of numbers, not an entry for every battalion, e.g. 164th to 198th. The following records are not available online on our website. Consult How to Access our records. See also: Prisoners of the First World War, the ICRC historical archives. See MIKAN 212455 for a description of these records. To search for a particular file, use Archives Search. In the Keyword box, enter the finding aid number and unit or place, e.g. 150-7 General Hospital Bramshott. These records are indexed and digitized on www.ancestry.ca, which is available free at many public libraries. A variety of other records can be found in the collections of the Department of Militia and Defence (RG9), National Defence (RG24), Veterans Affairs (RG38) and the Ministry of the Overseas Military Forces of Canada (RG150). In Archives Search try keywords such as a surname or regiment and a record group, e.g. RG24 144th Battalion. For photographs from the National Defence collection, use Finding Aid number 1964-114 as a keyword, e.g. 1964-114 Vimy. See also Image Search. 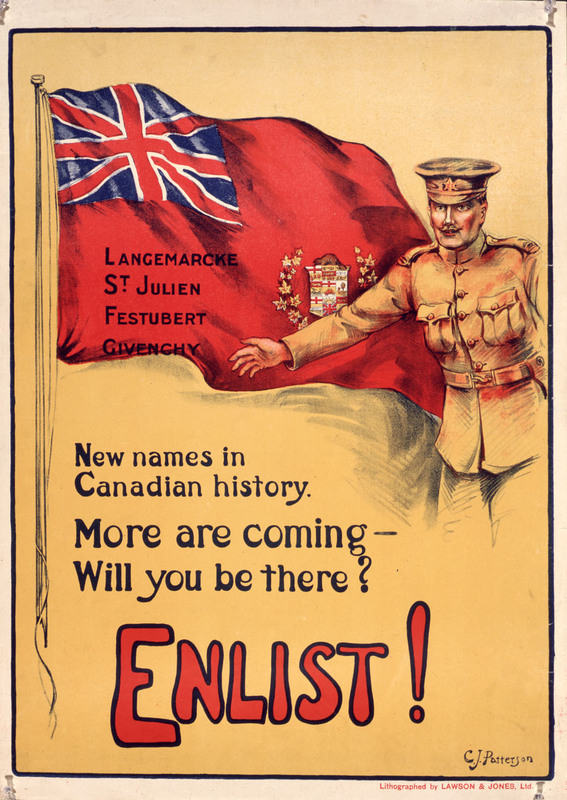 Report of the Ministry Overseas Military Forces of Canada, 1918, by the Ministry of Overseas Military Forces of Canada. You can use Library Search to find other publications. Select Title Keyword or Subject Keyword, and search by regiment, place, battle, etc.